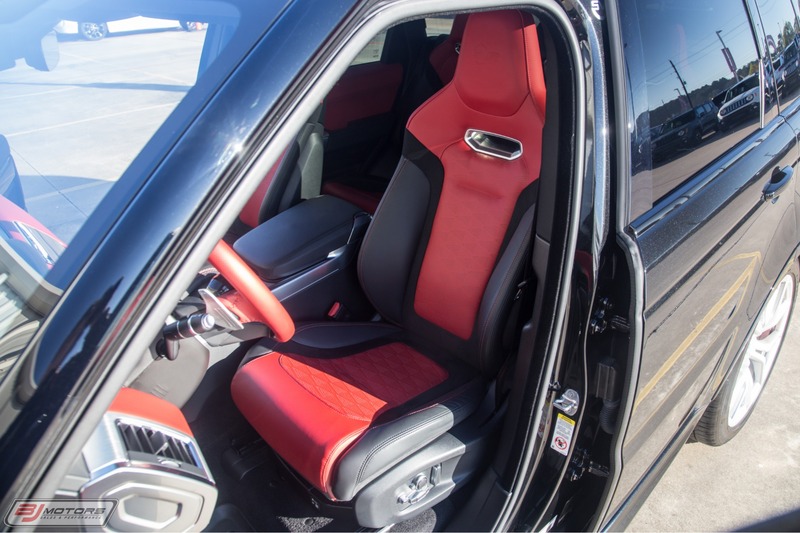 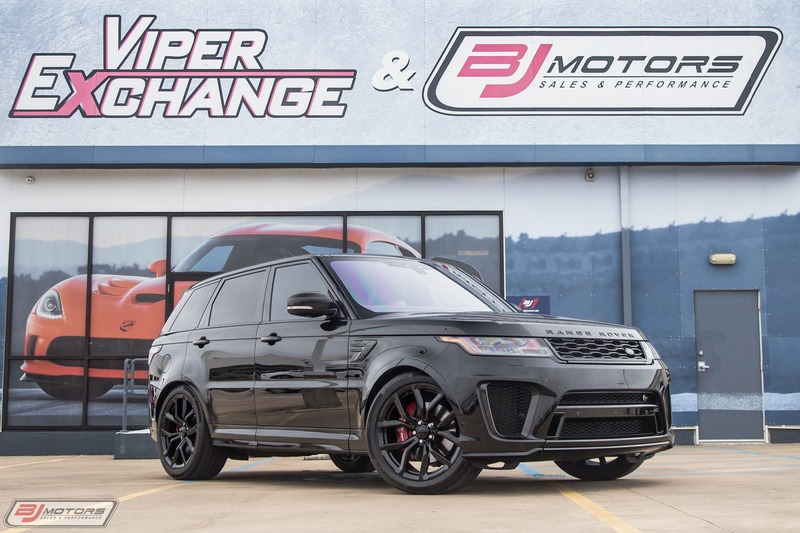 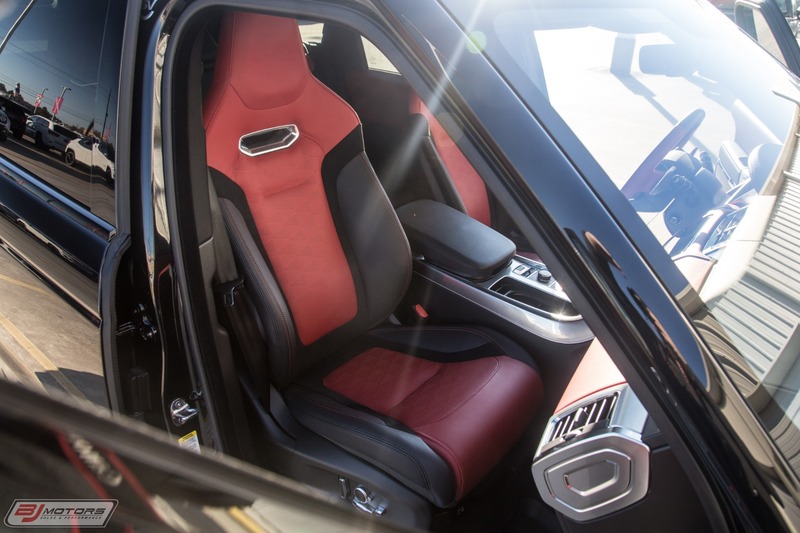 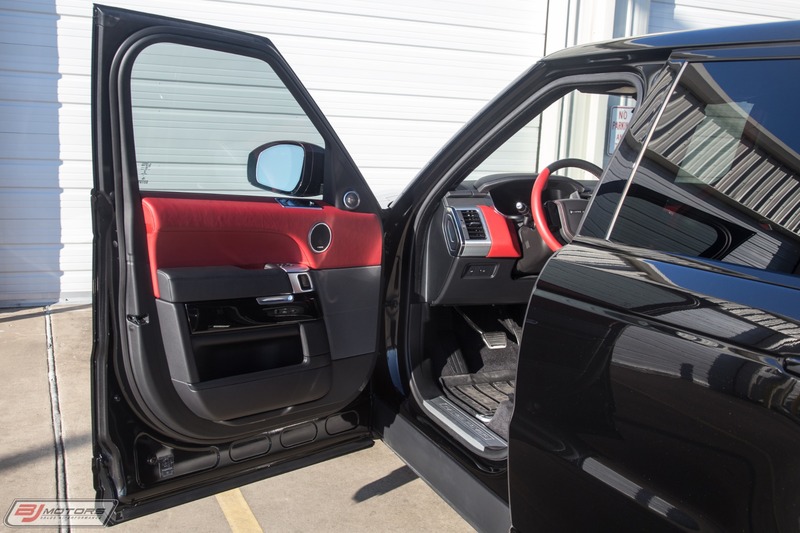 BJ Motors is proud to offer this 2018 Range Rover Sport SVR in Santorini Black Metallic over Ebony/Pimento Interior. 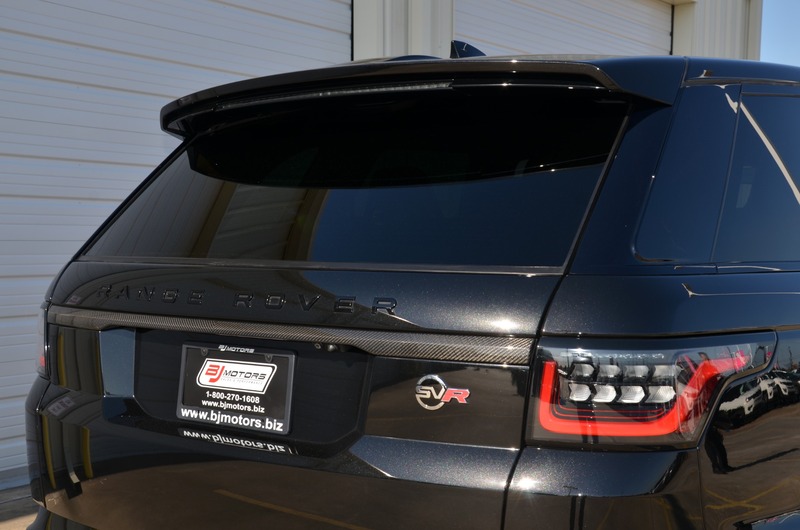 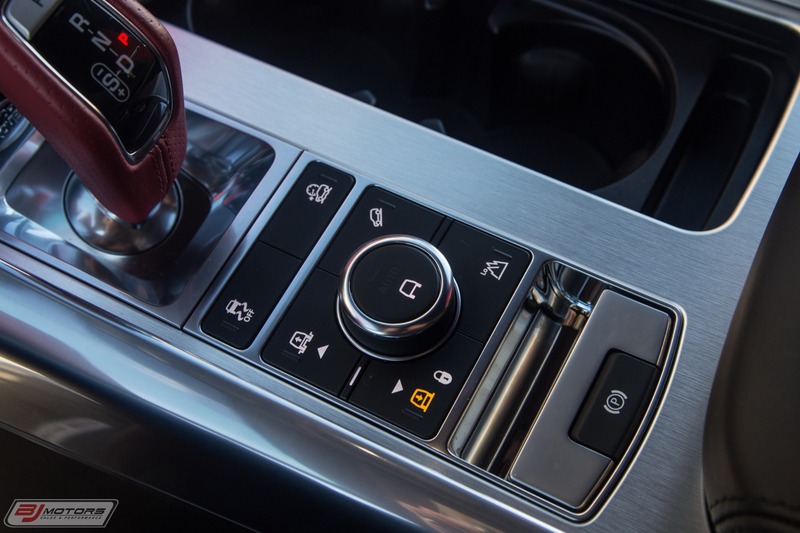 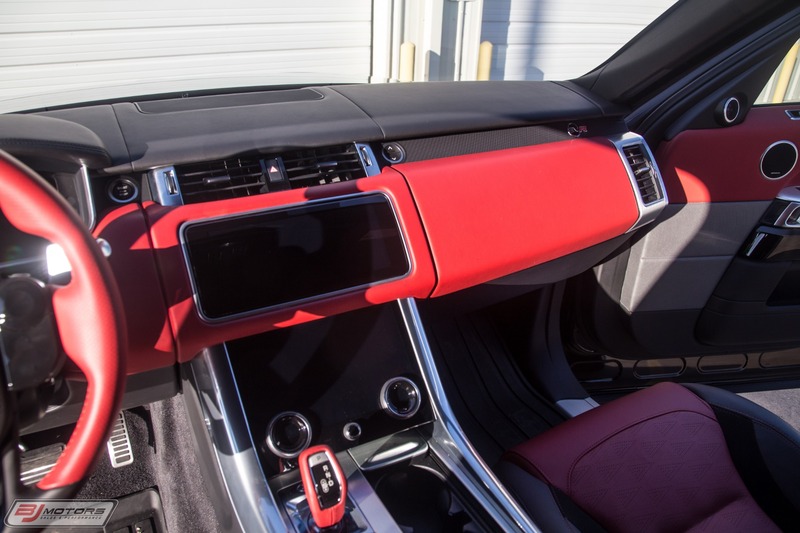 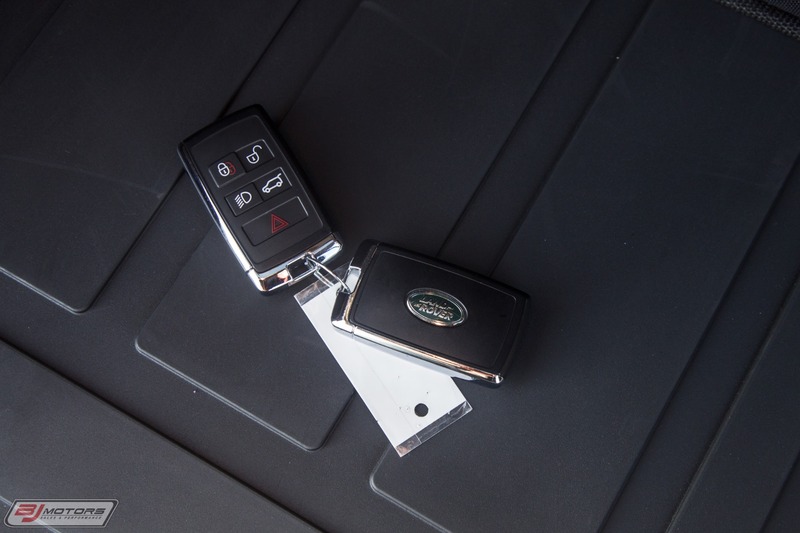 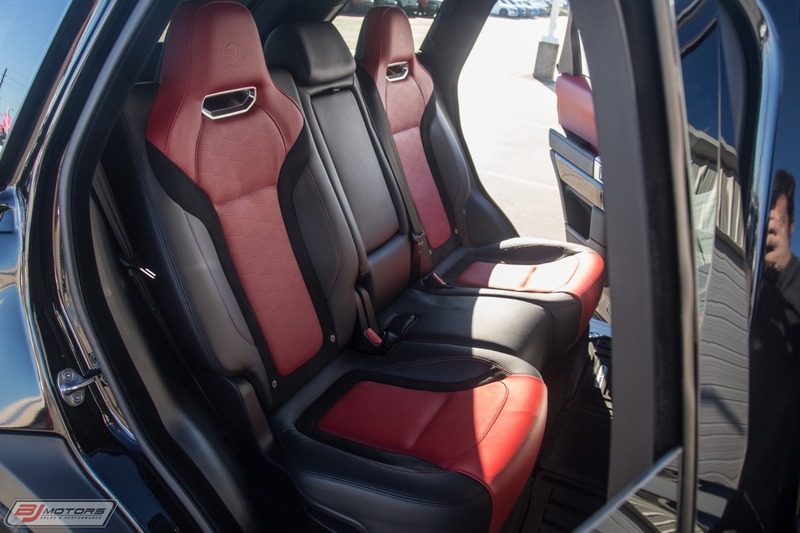 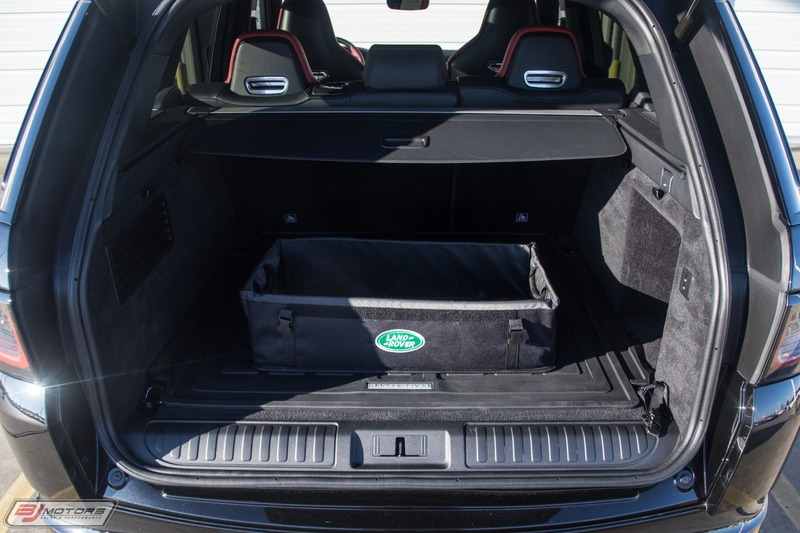 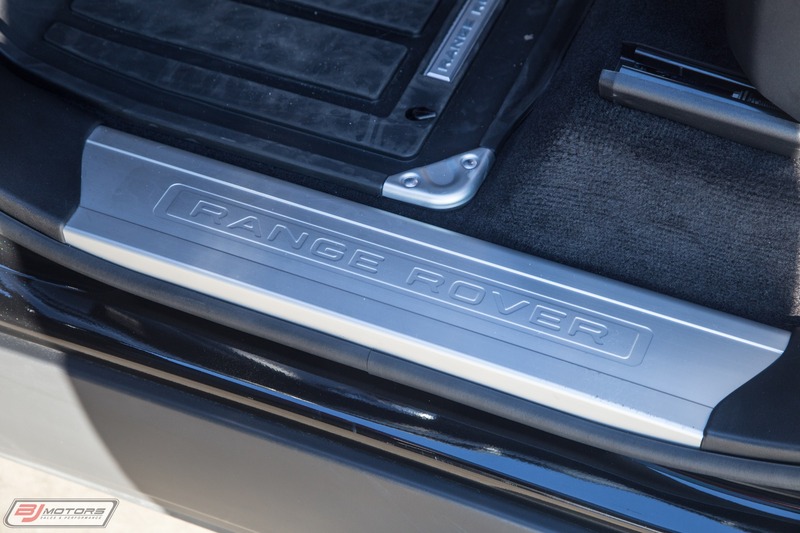 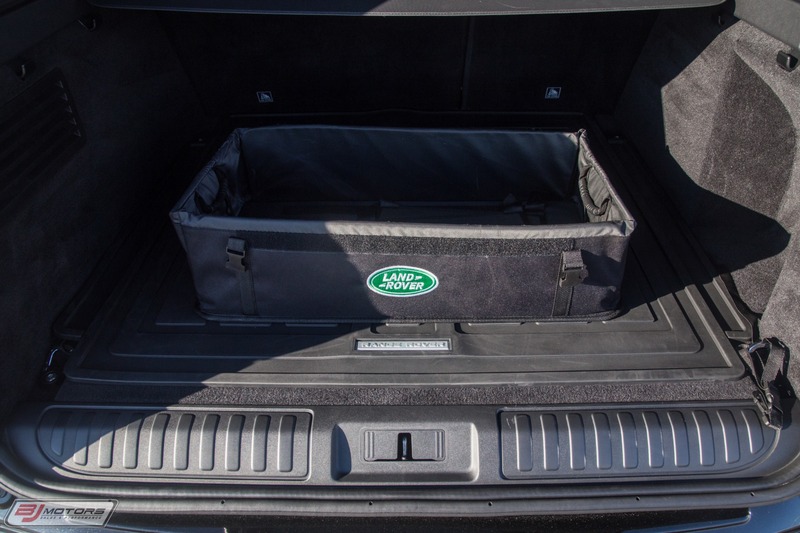 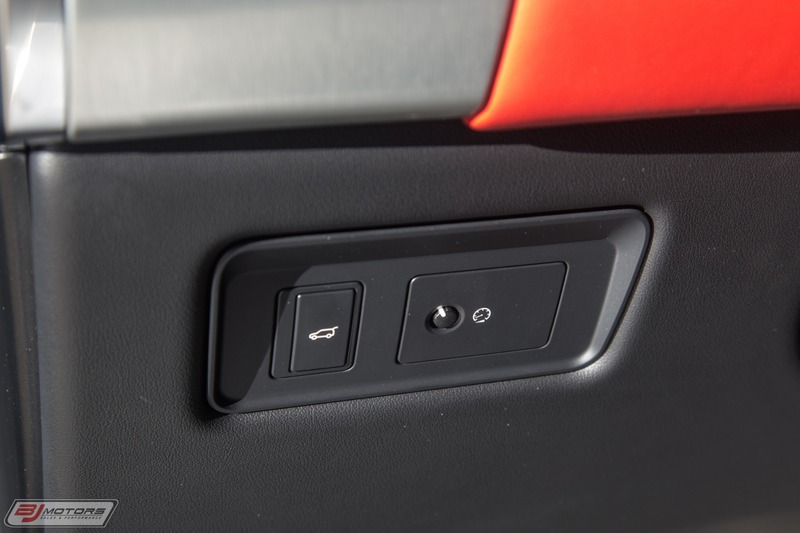 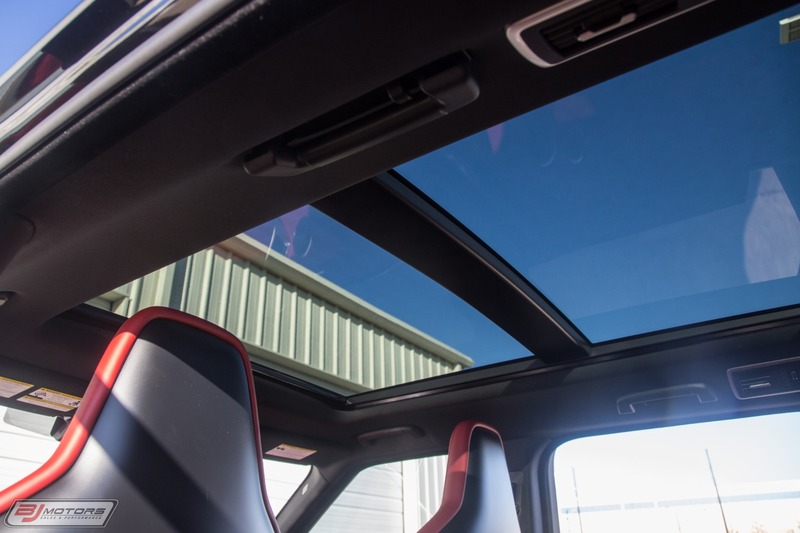 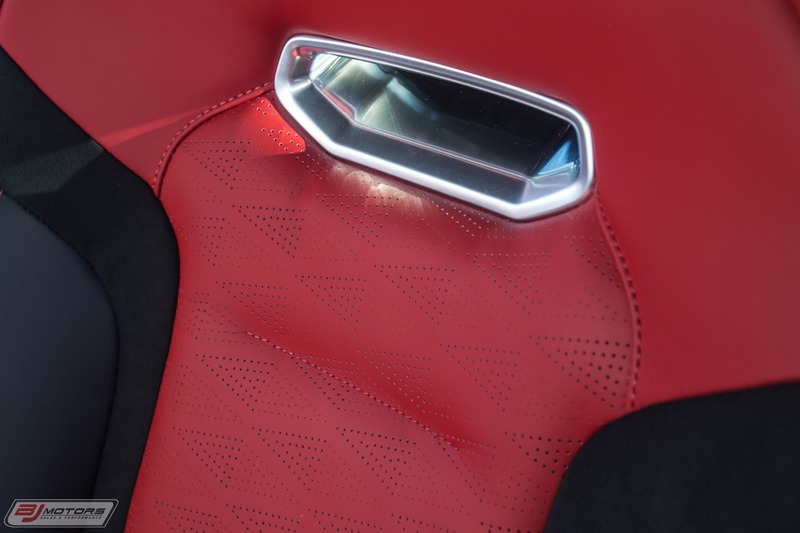 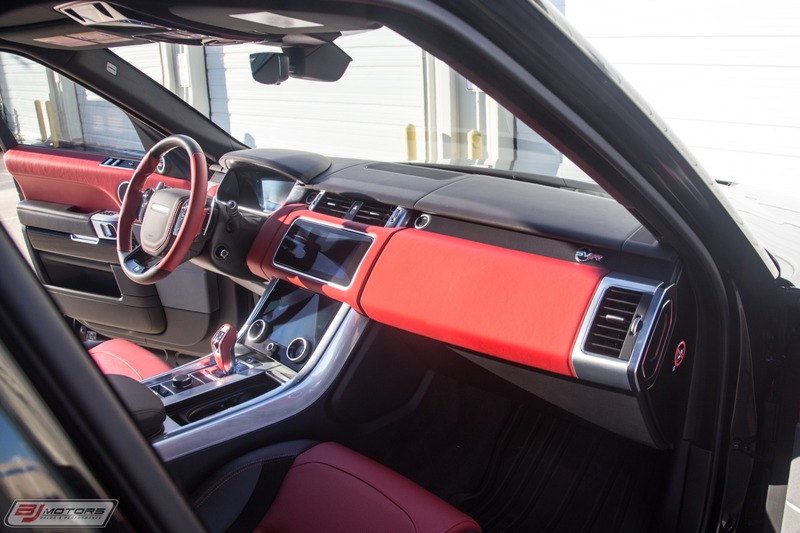 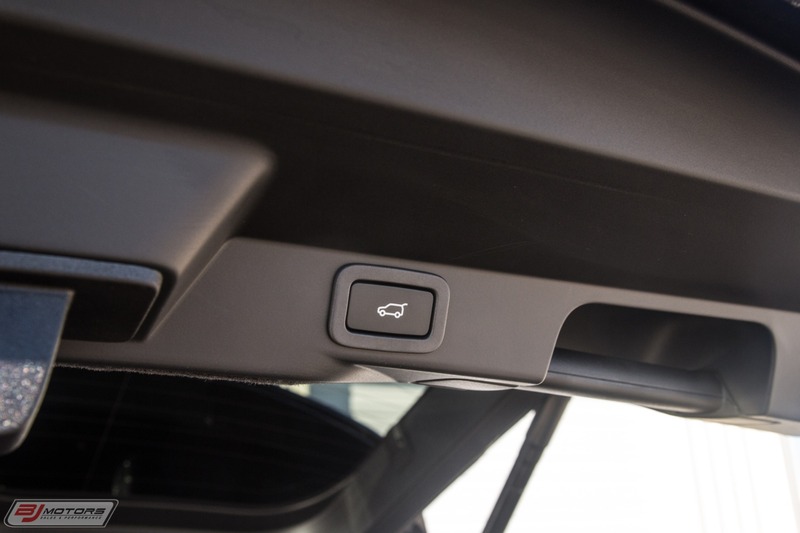 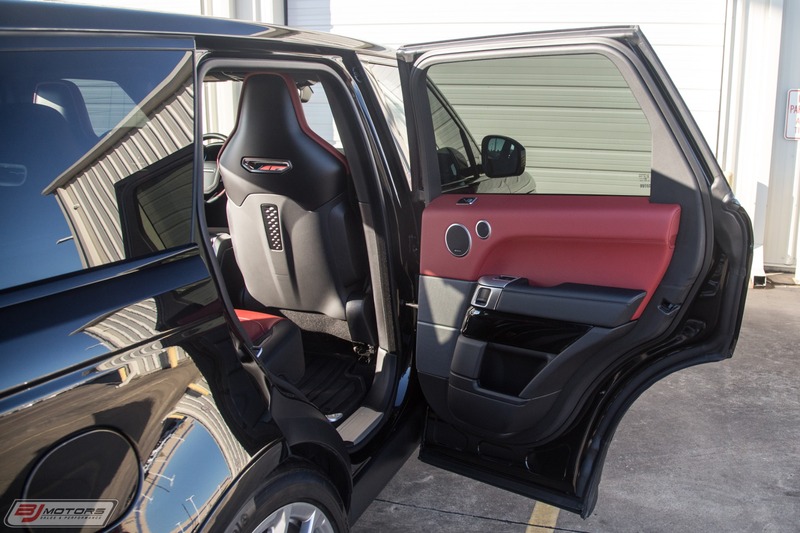 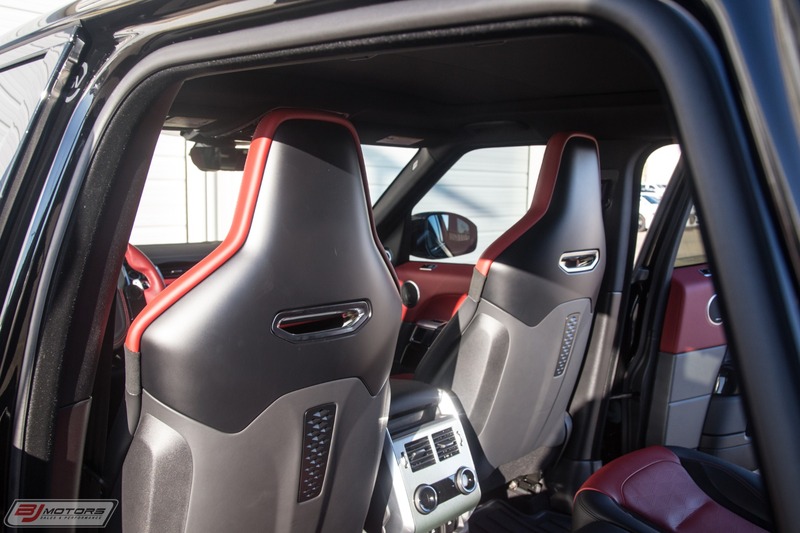 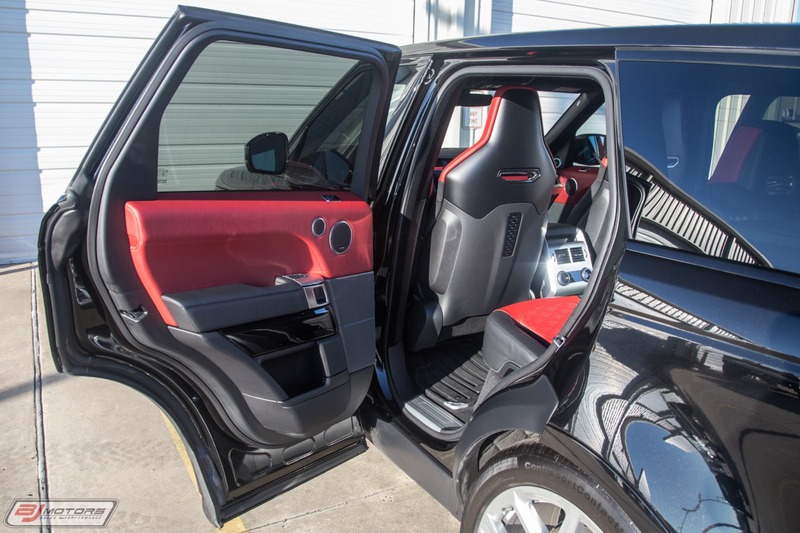 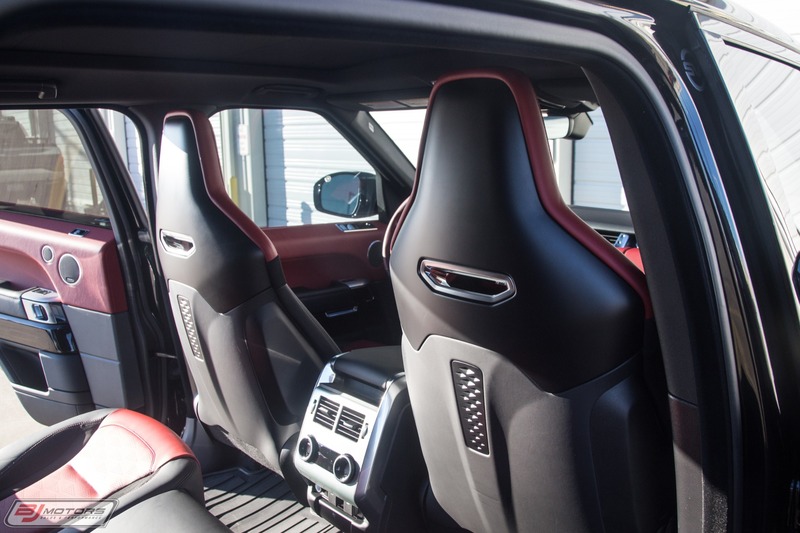 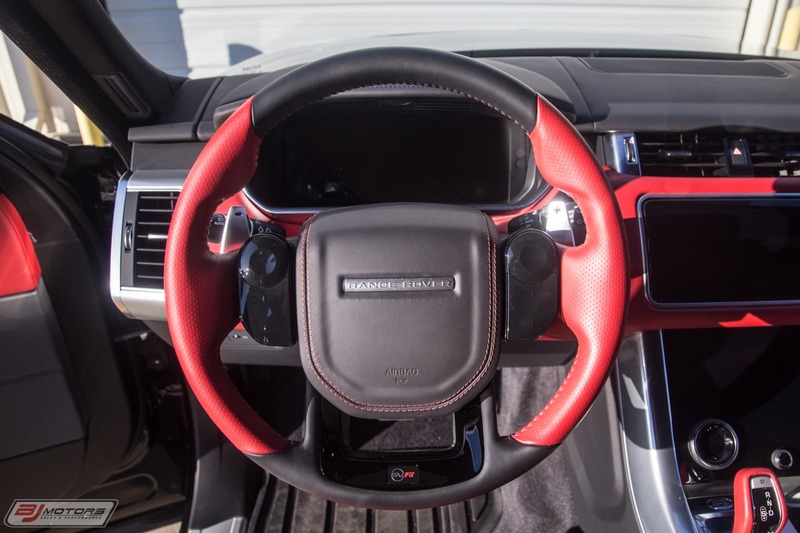 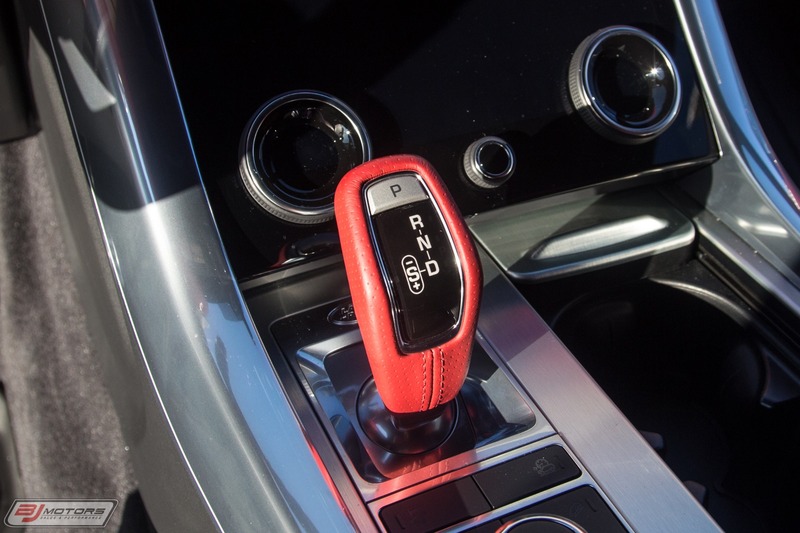 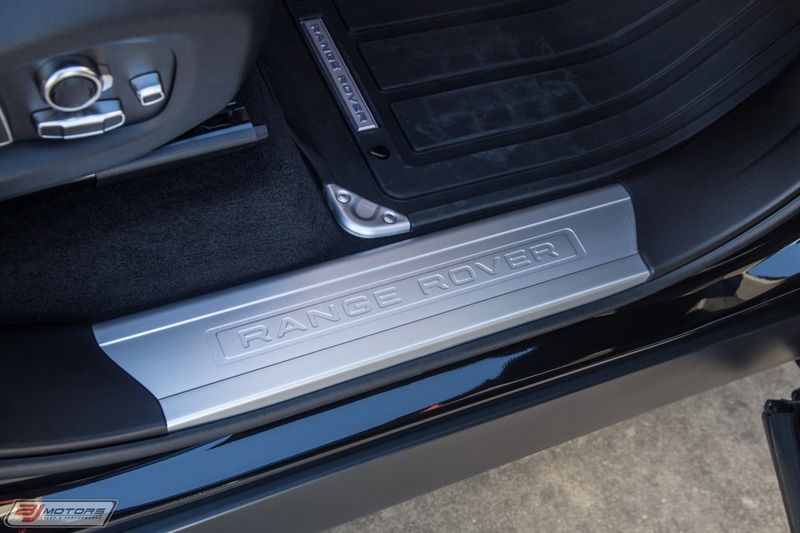 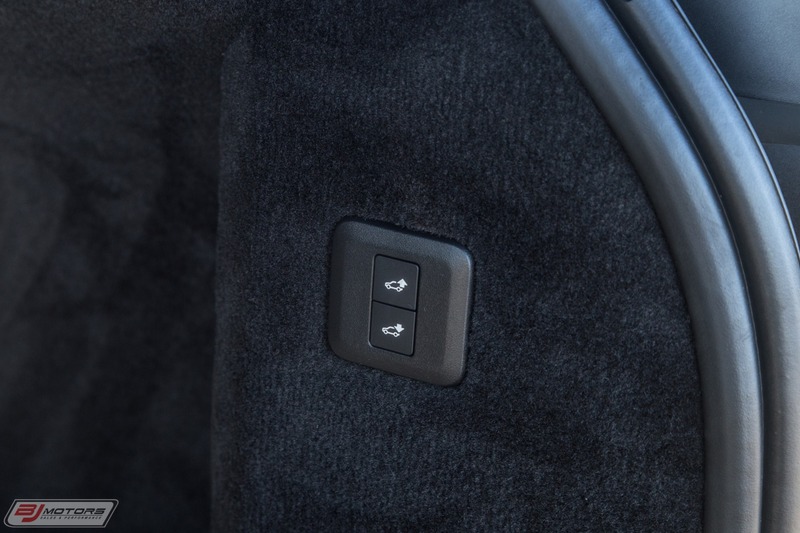 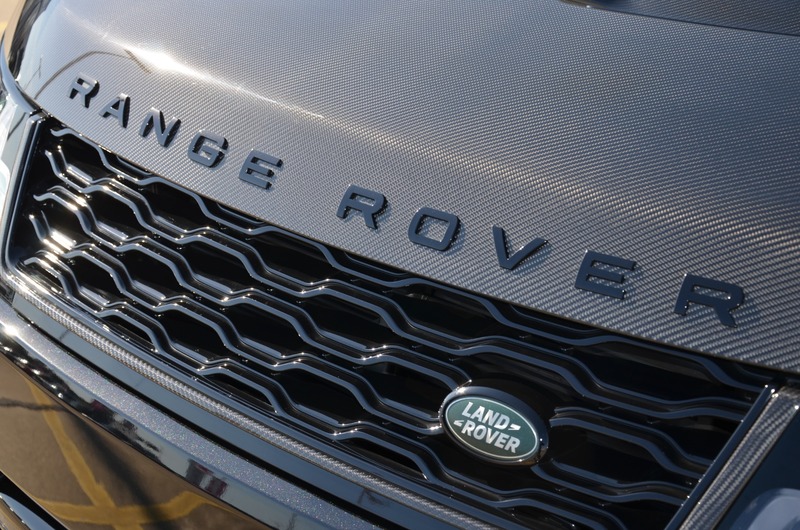 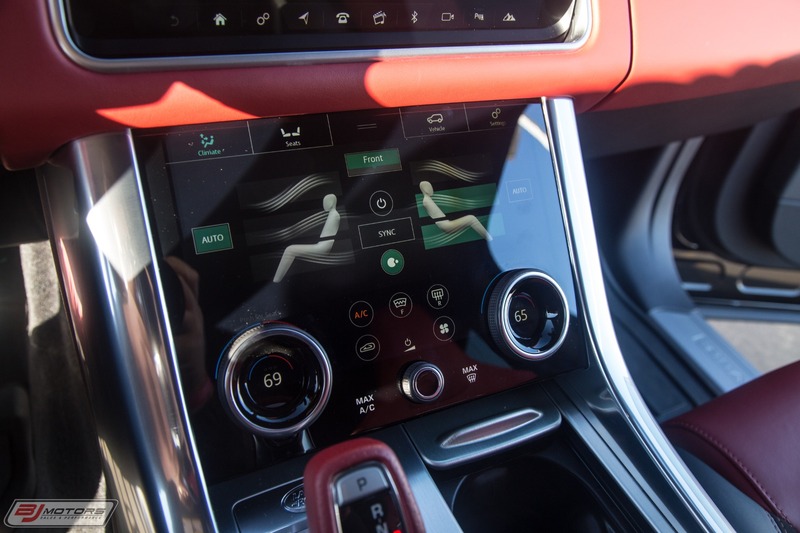 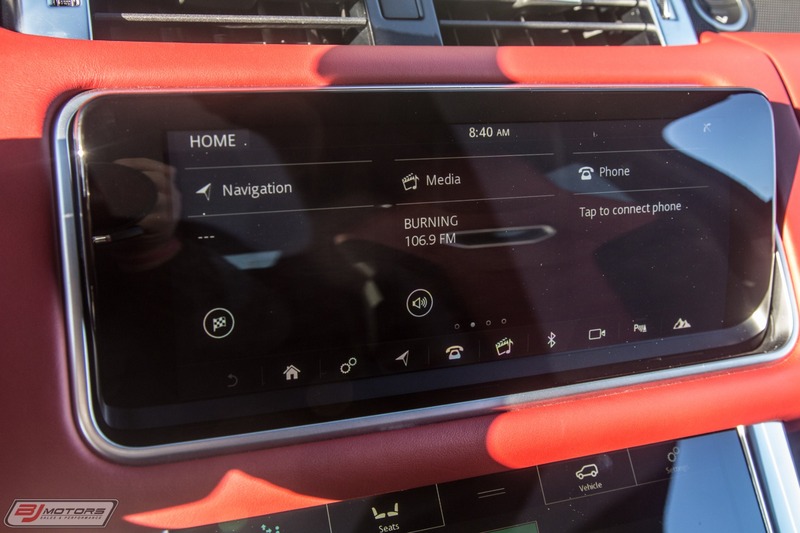 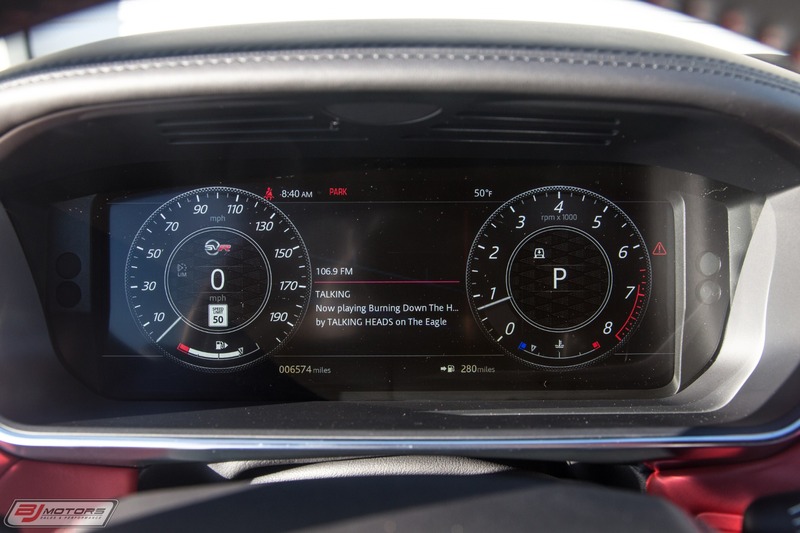 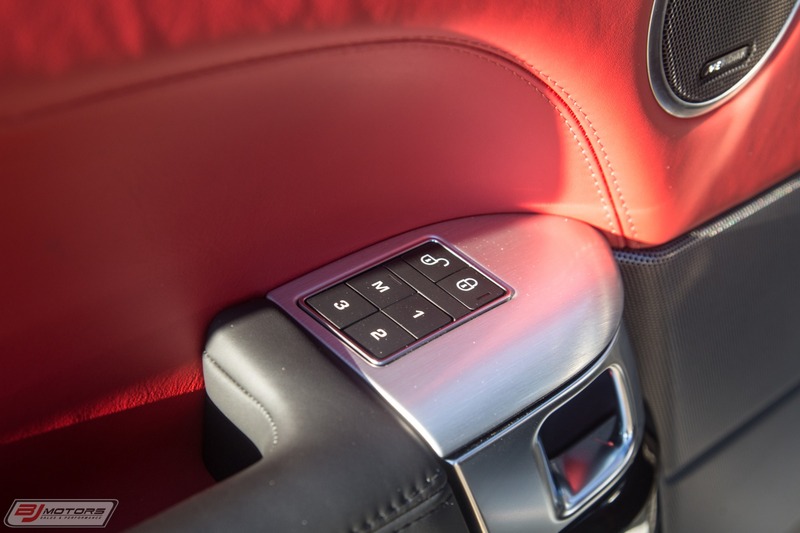 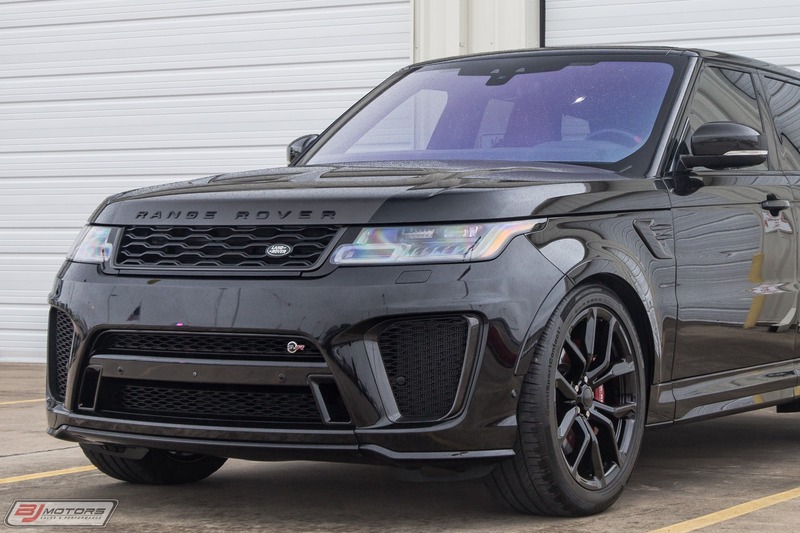 This Range Rover SVR shows as new with only 6,512 miles. 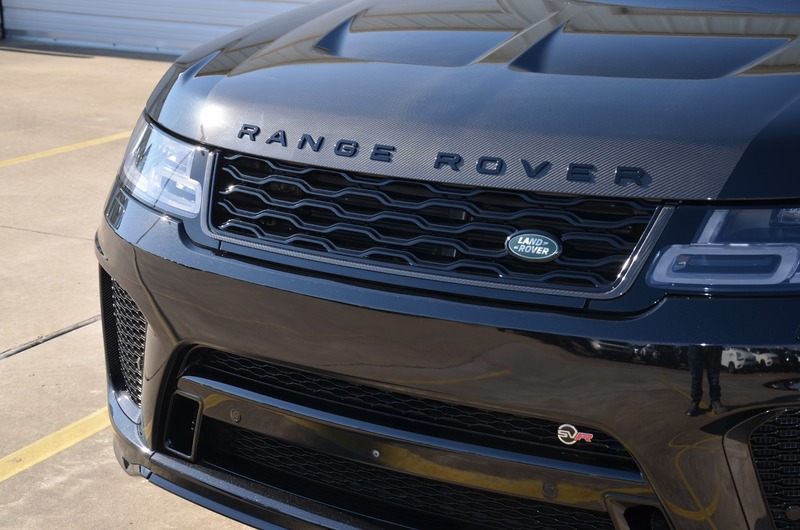 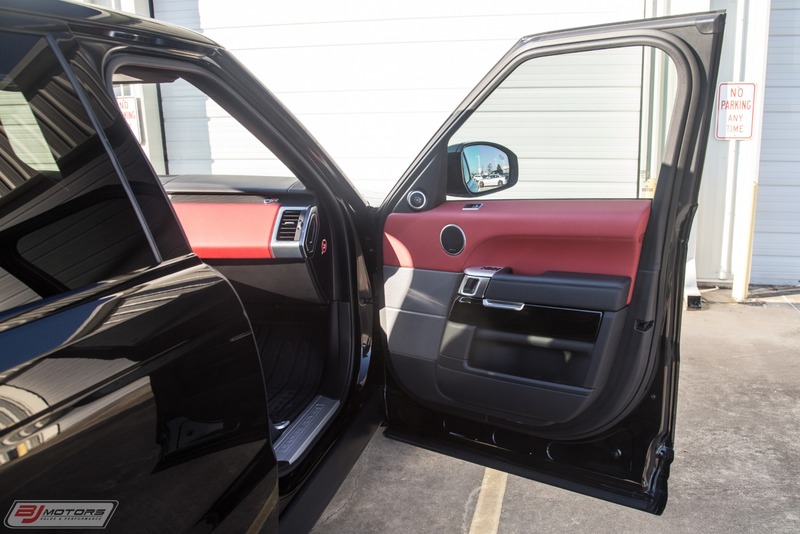 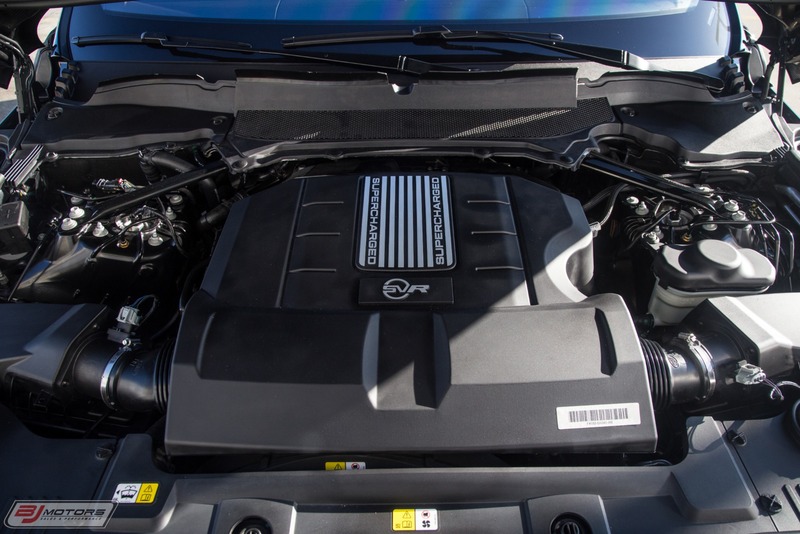 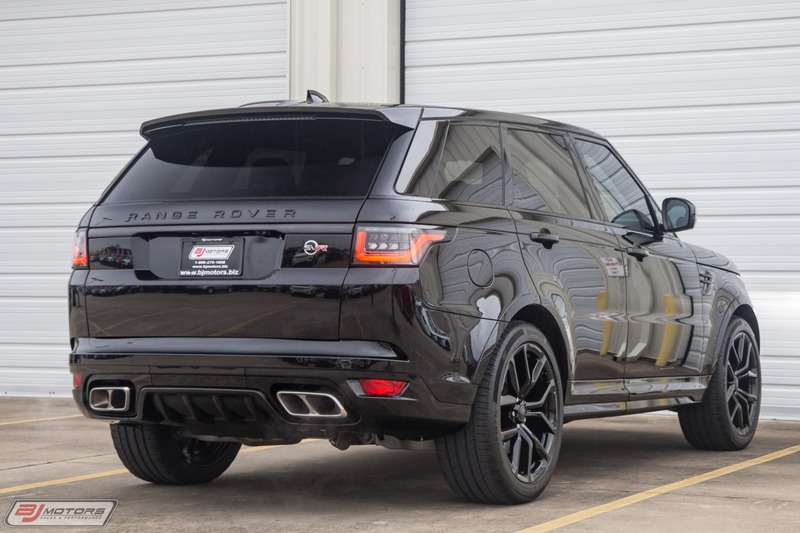 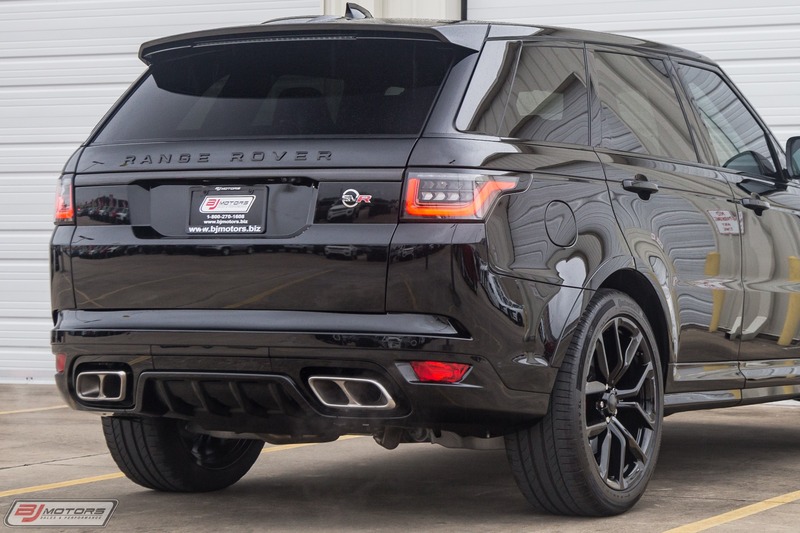 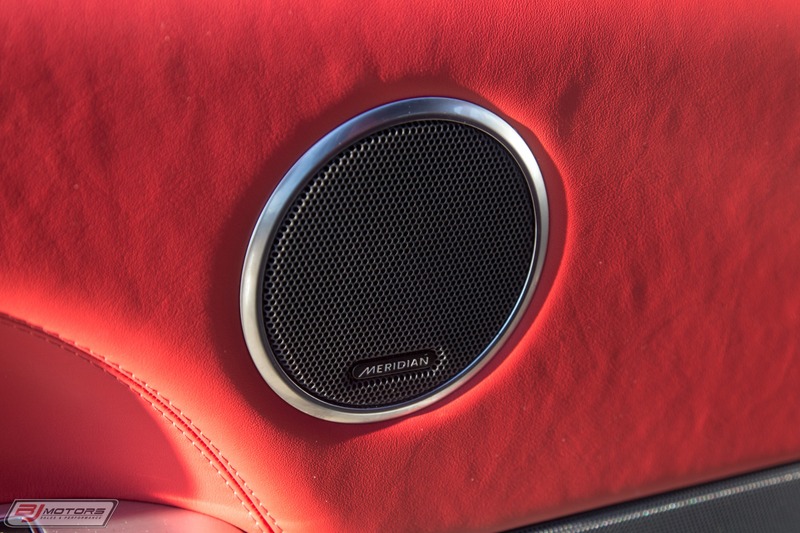 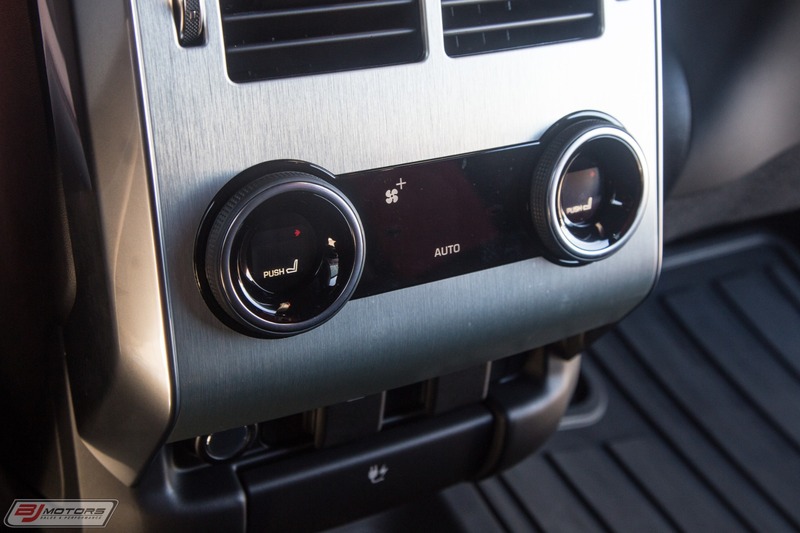 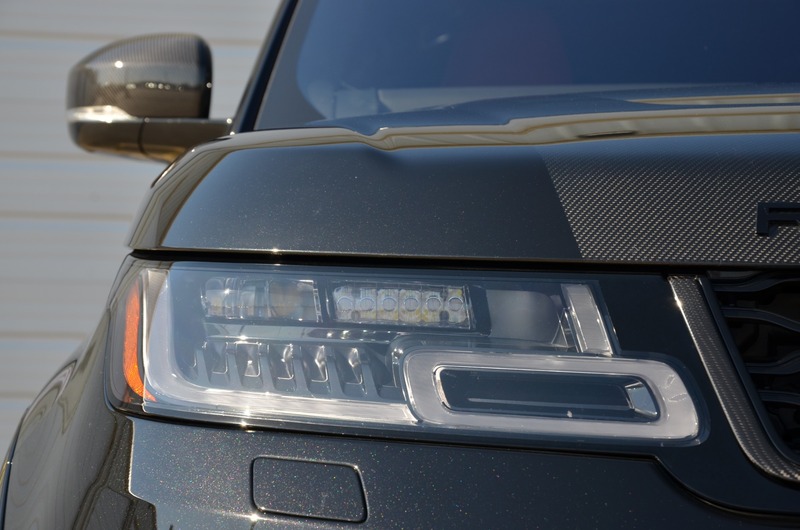 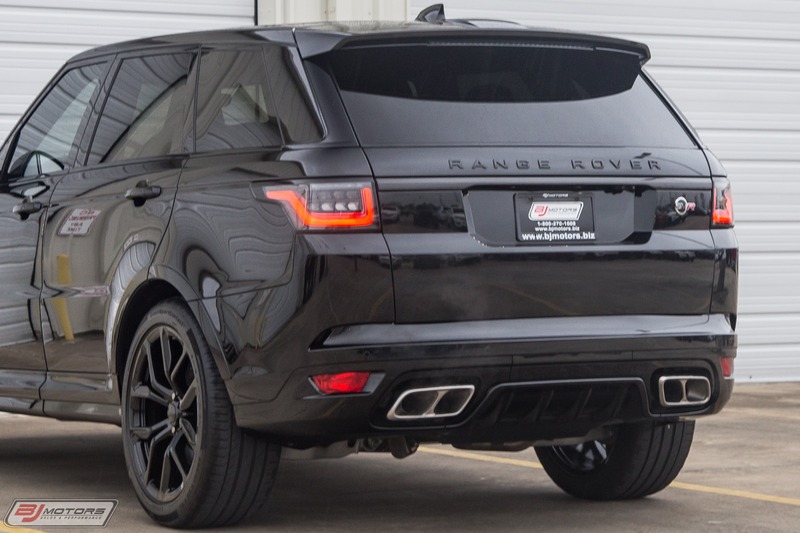 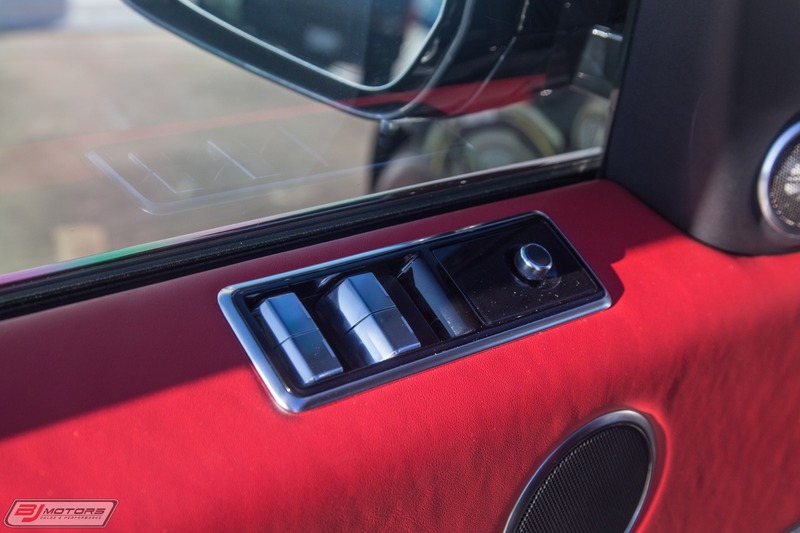 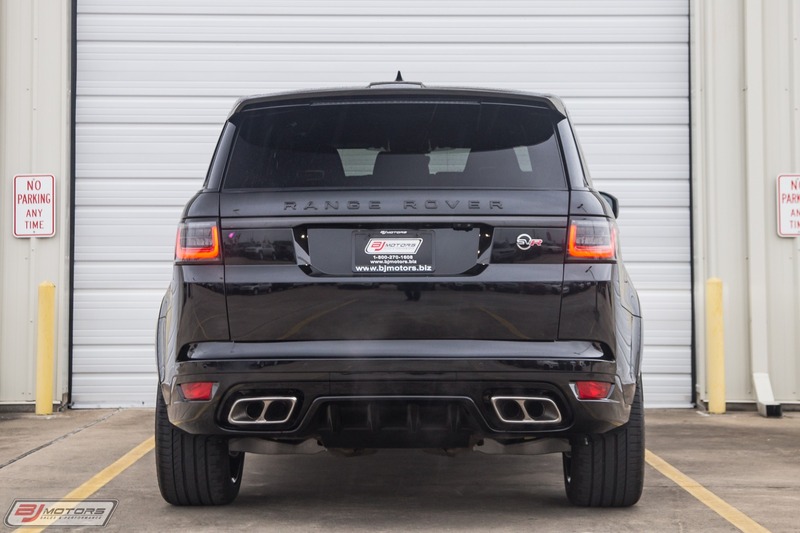 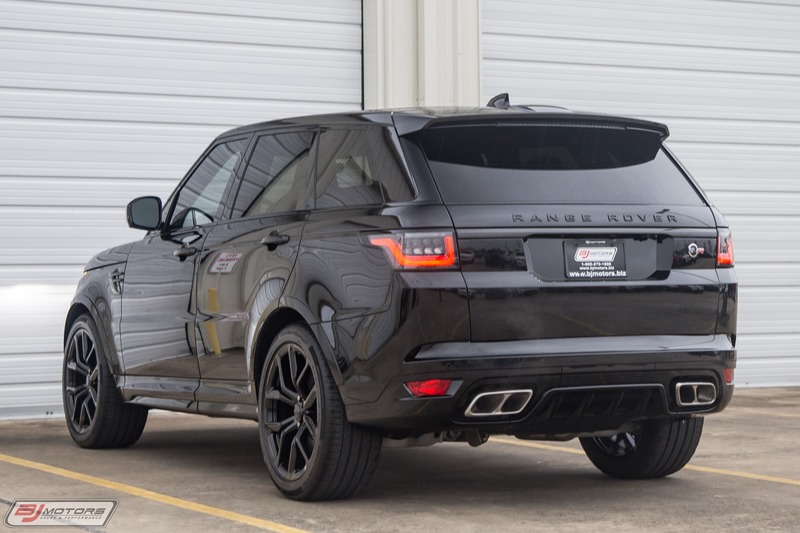 The beast of a Range Rover boasts nearly 600 hp while powered by a gem of a supercharged 5.0L V8. 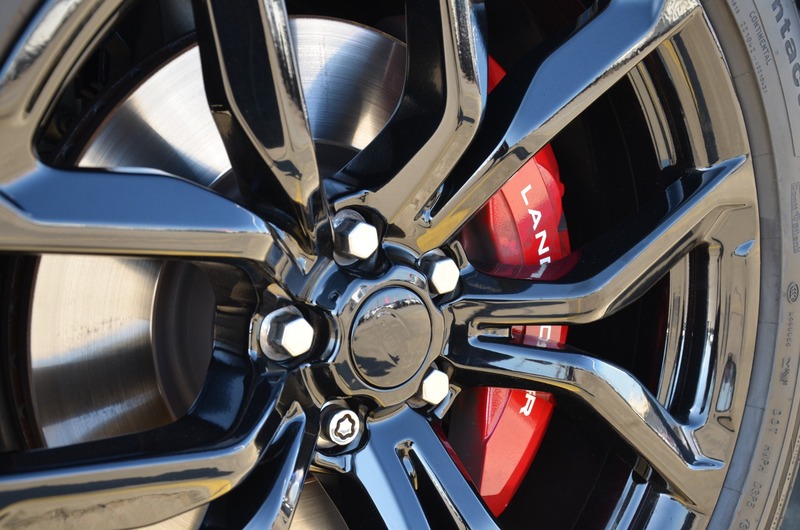 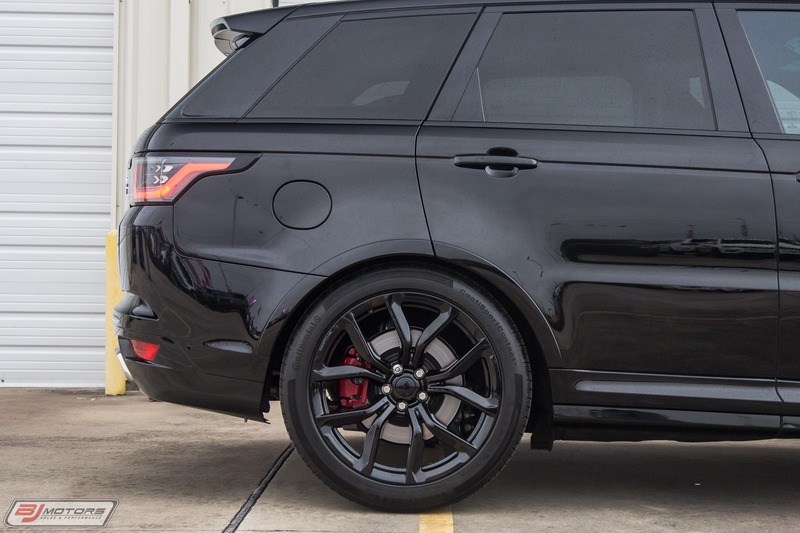 The wheels have been powdercoated black to give the car a more aggressive look. 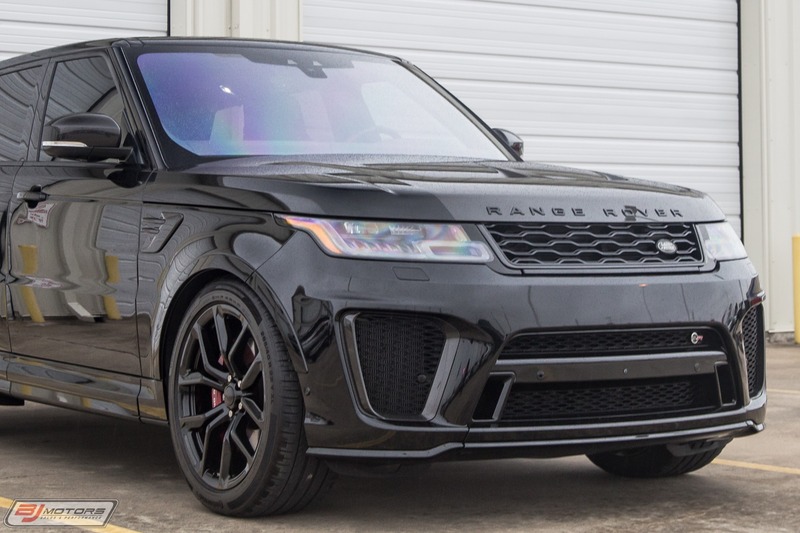 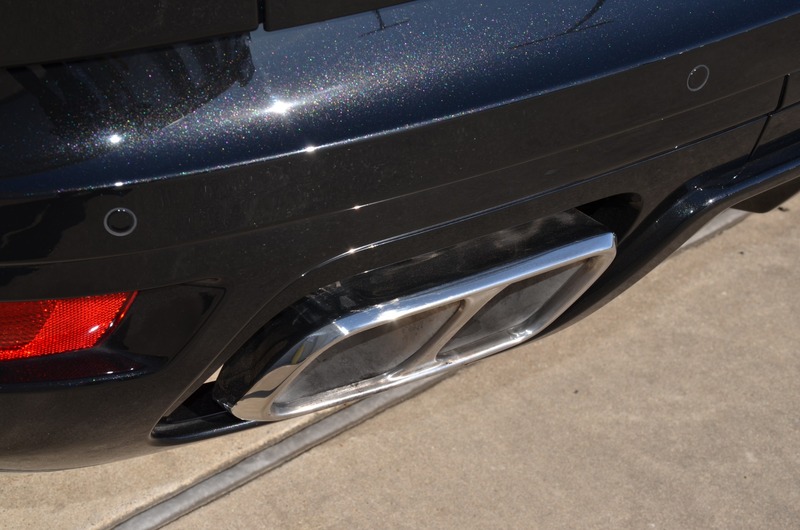 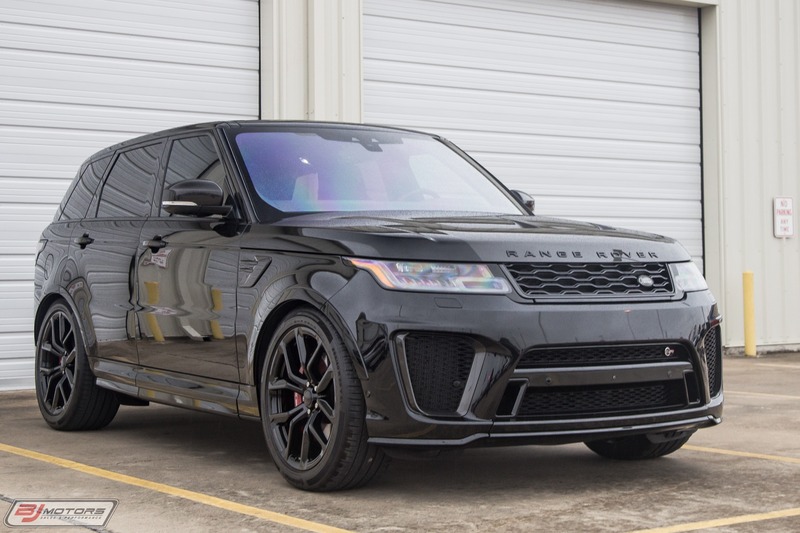 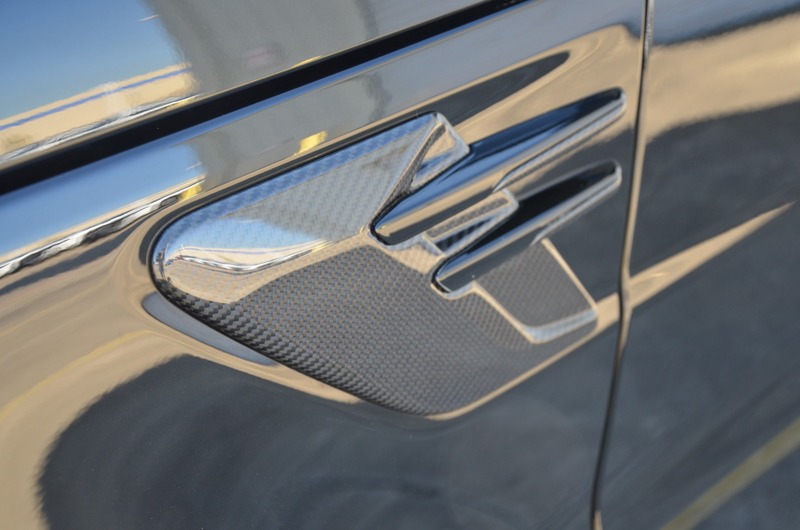 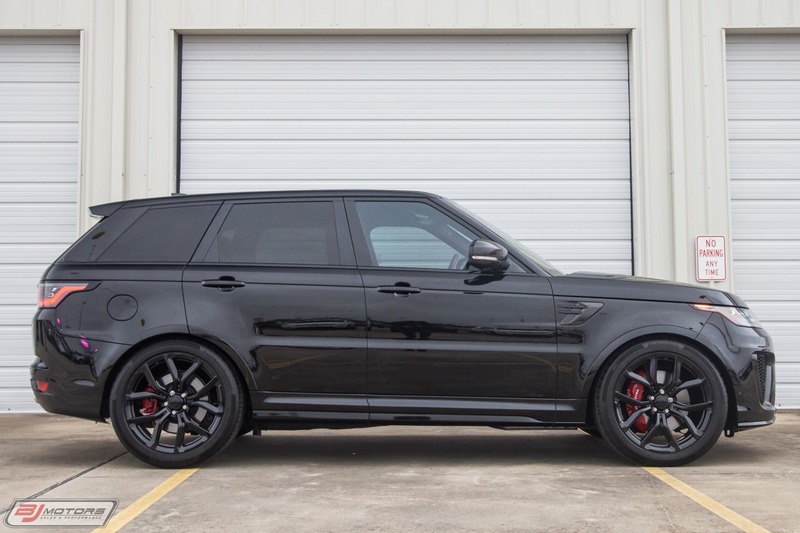 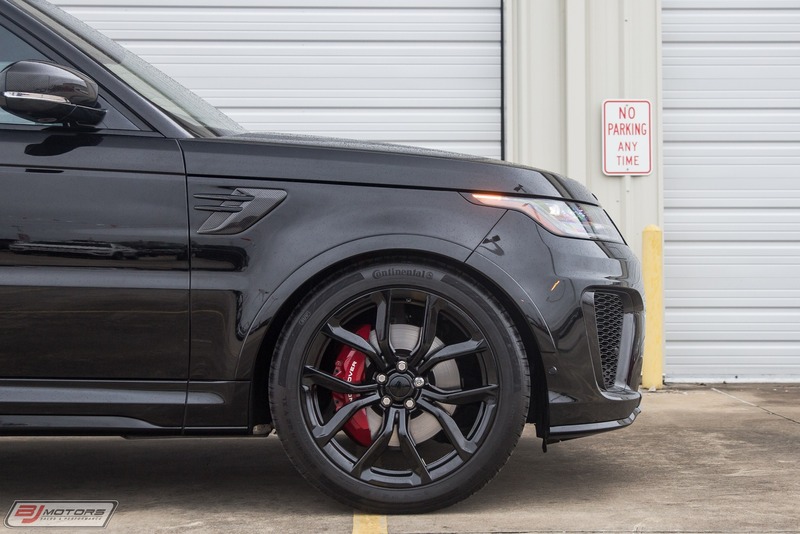 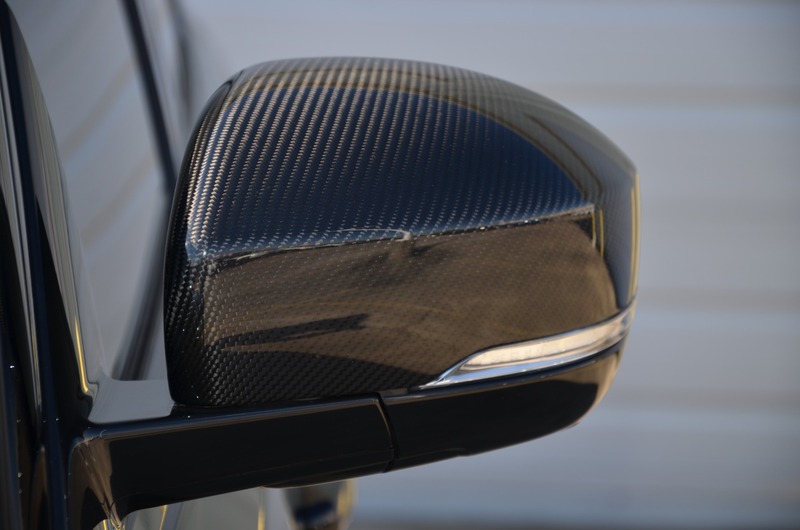 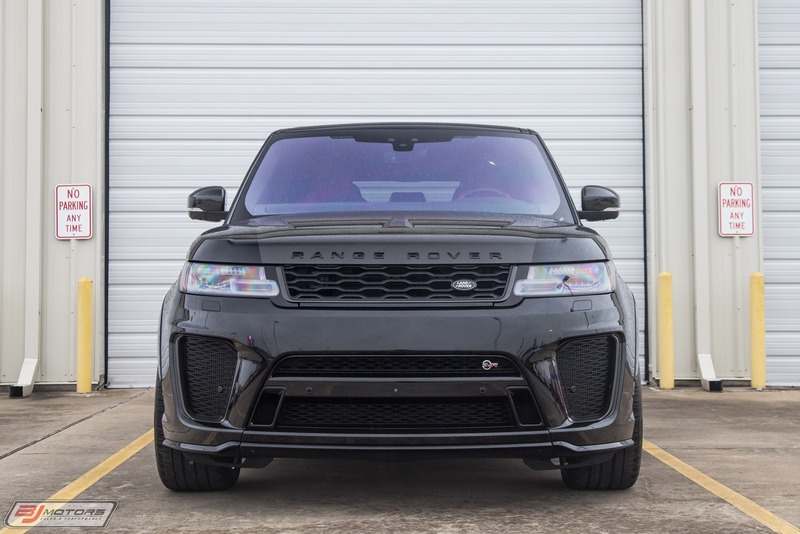 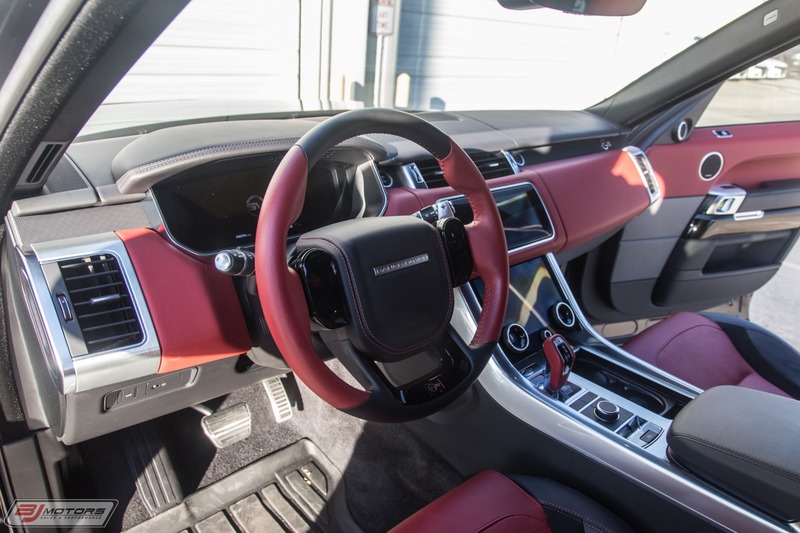 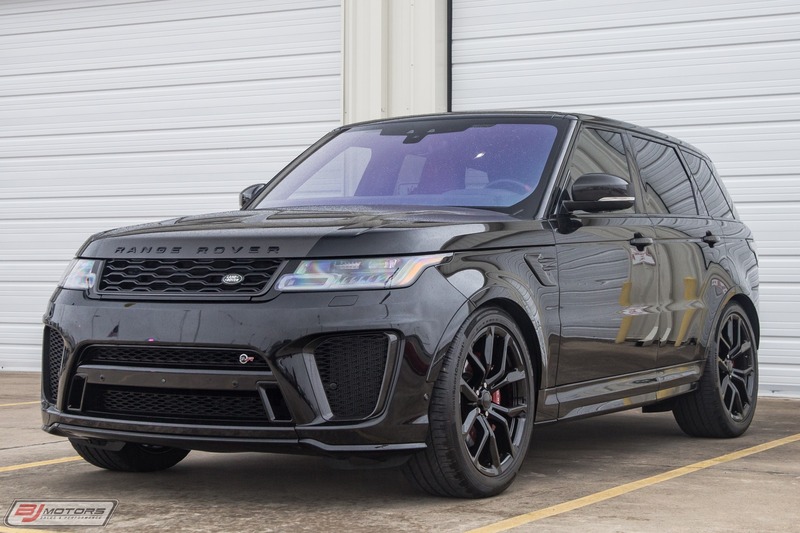 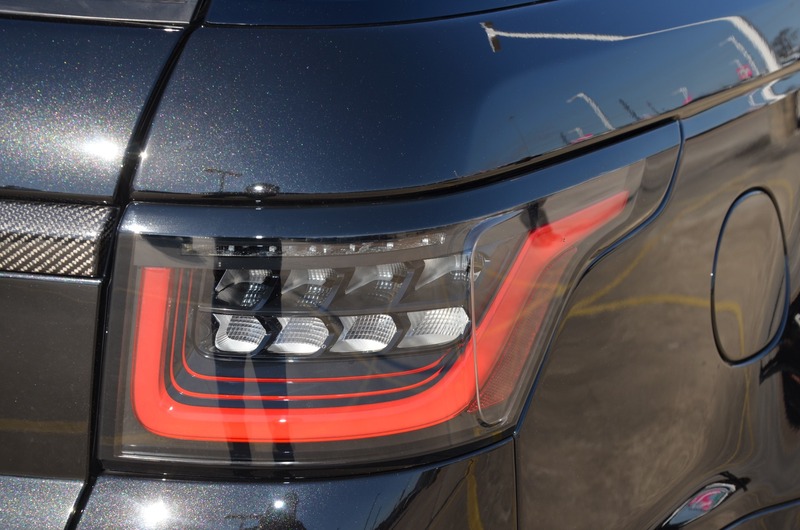 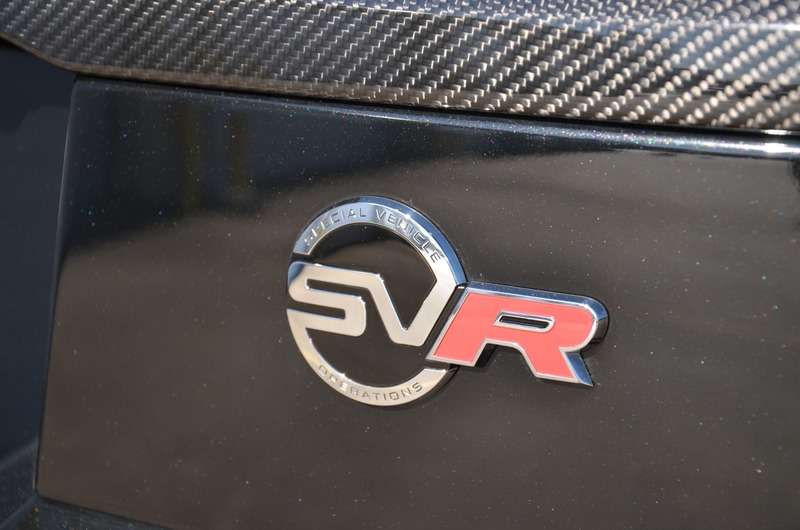 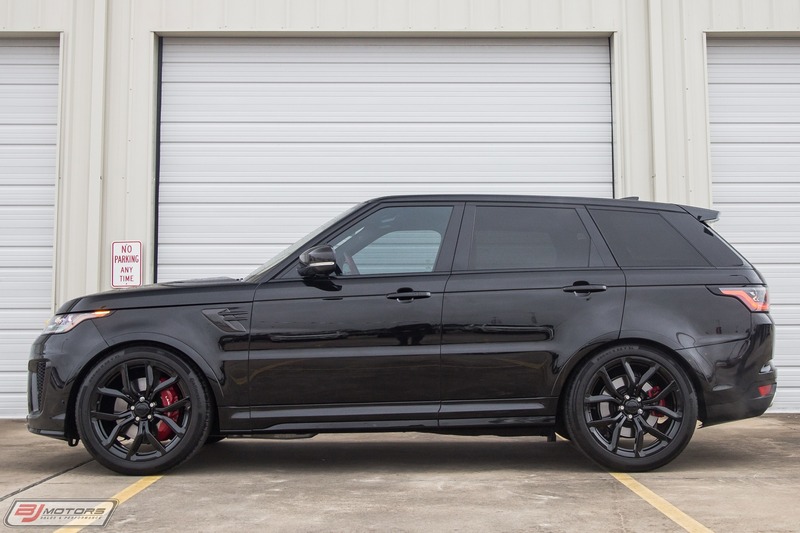 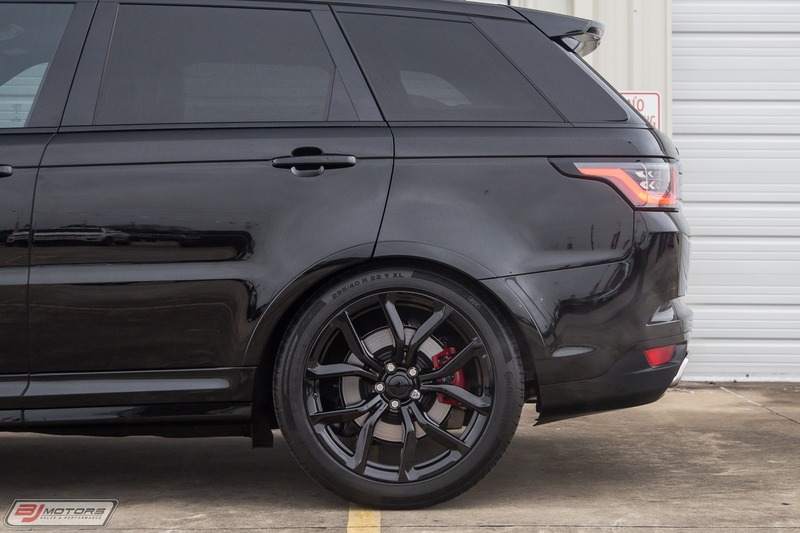 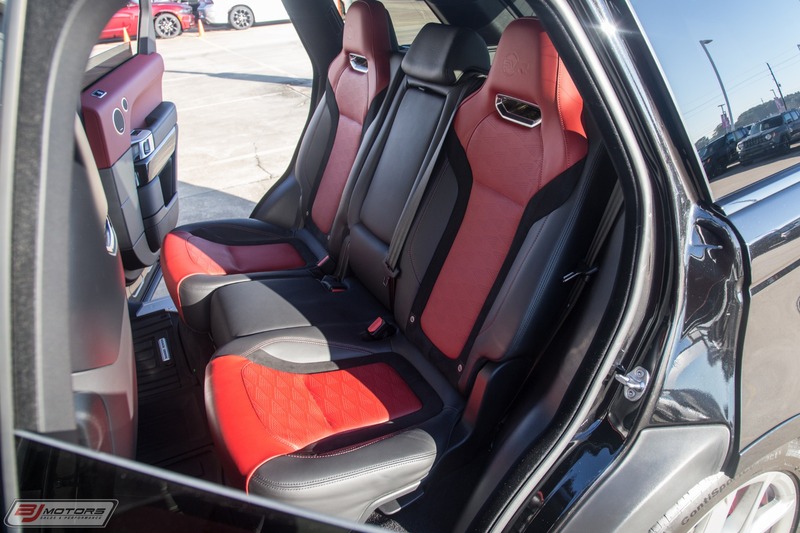 This SVR is in amazing condition and is very highly optioned. 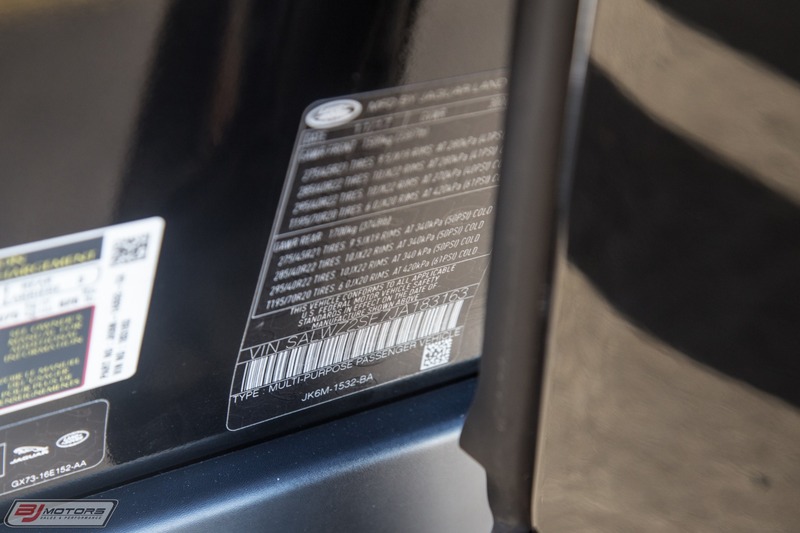 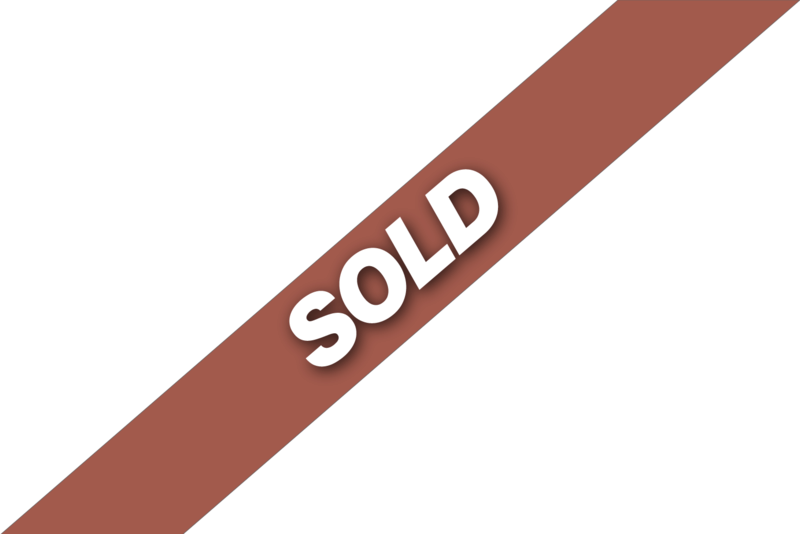 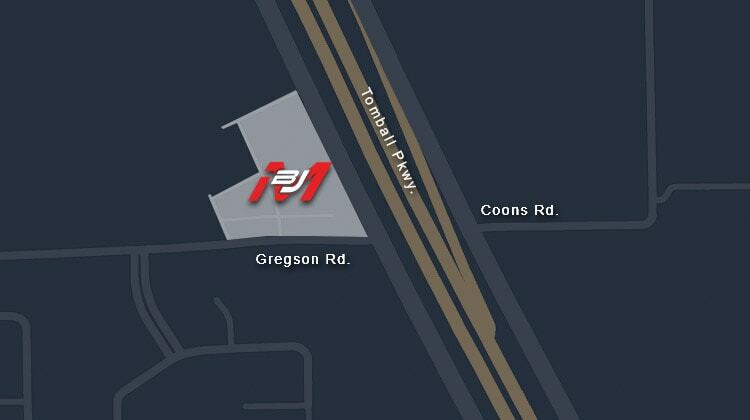 BJ Motors prides itself on finding good, clean, low mileage and hard to find vehciles. 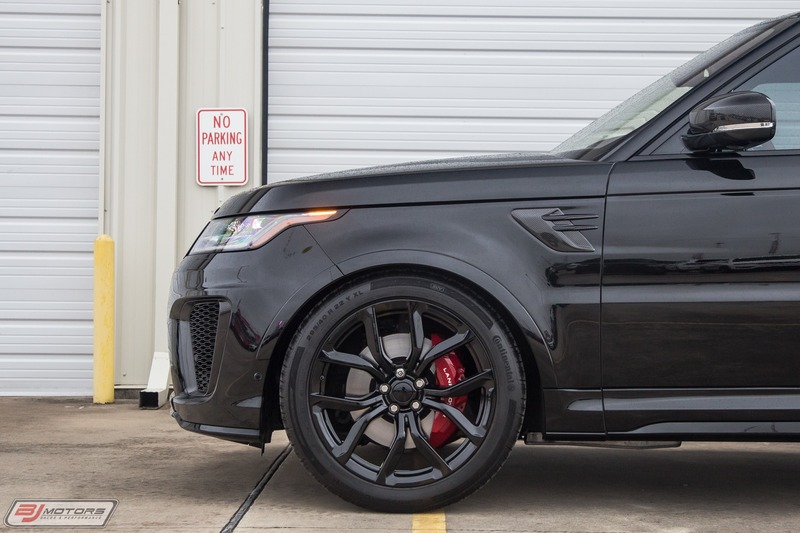 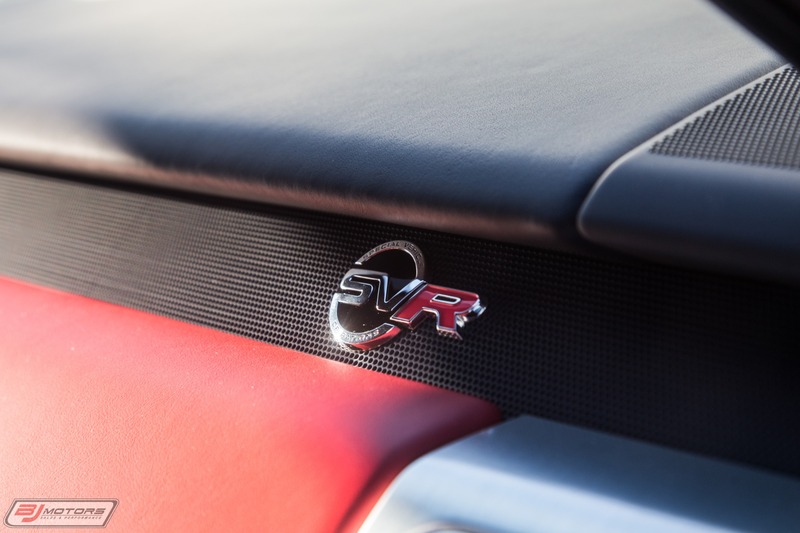 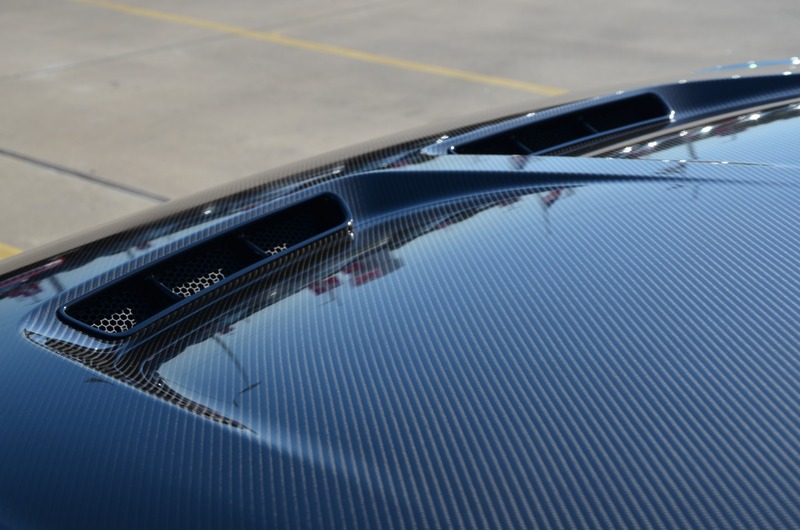 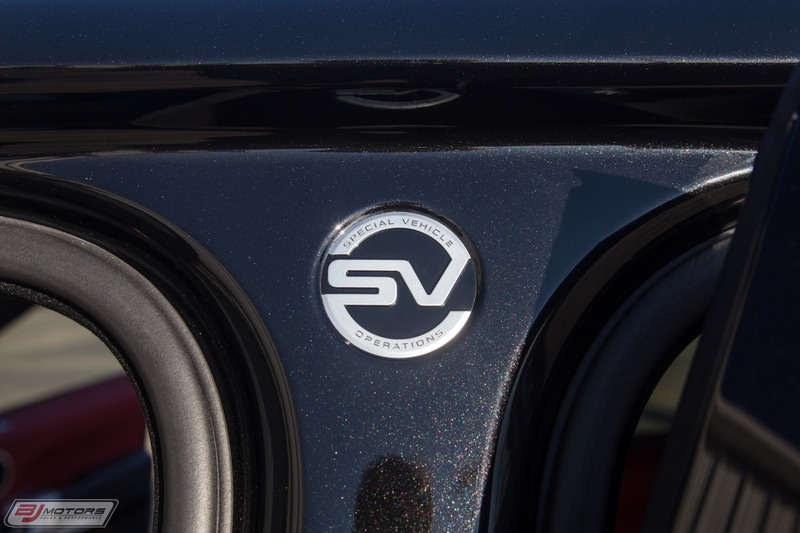 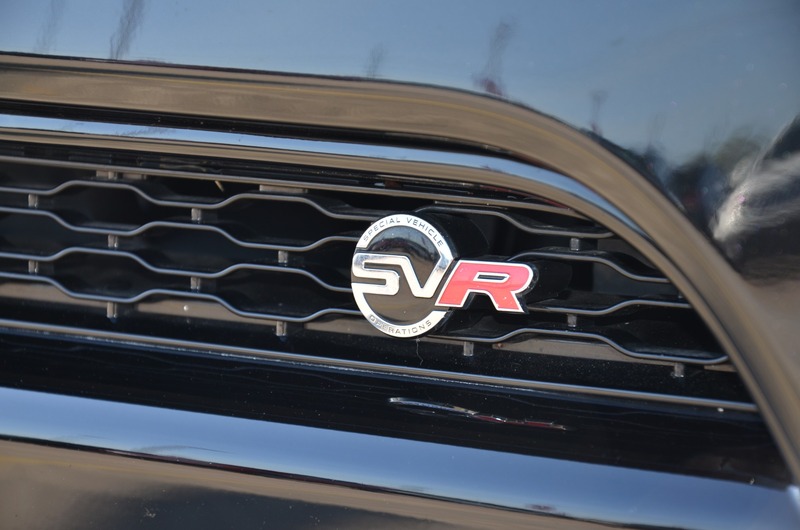 This SVR is no exception.